It's Saturday, meaning there's not a lot going on here besides my wanting someone else to make me breakfast. That's not to say I want husband to make it, I just want sausage biscuits from the place up the road from us (they also have these cinnamon buns that are almost as big as my face...). It's a struggle, wanting to be healthier but also wanting crap food. 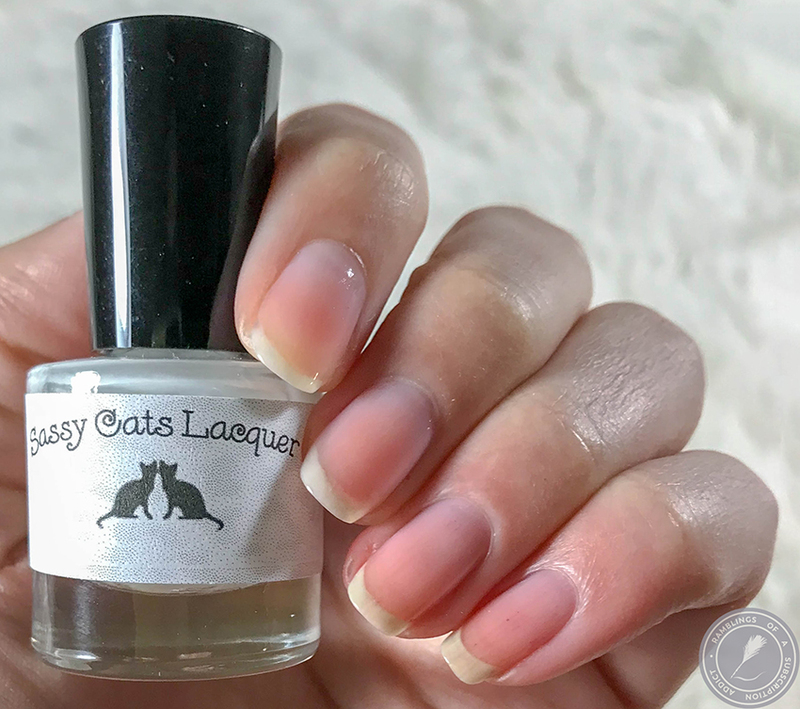 Today I have something different to review, specifically nail care products rather than polishes, and it's from a new-to-me brand! 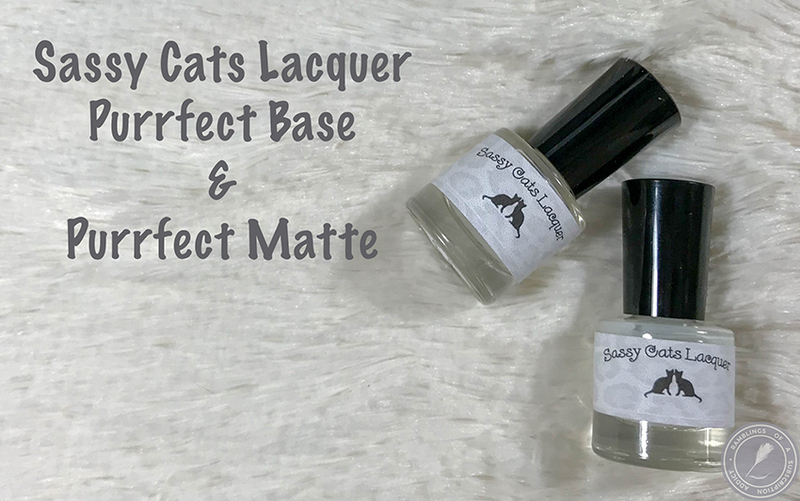 Sassy Cats Lacquer has reintroduced their nail care products (base coat, glossy top coat, matte top coat) to the store and I have two of them here! 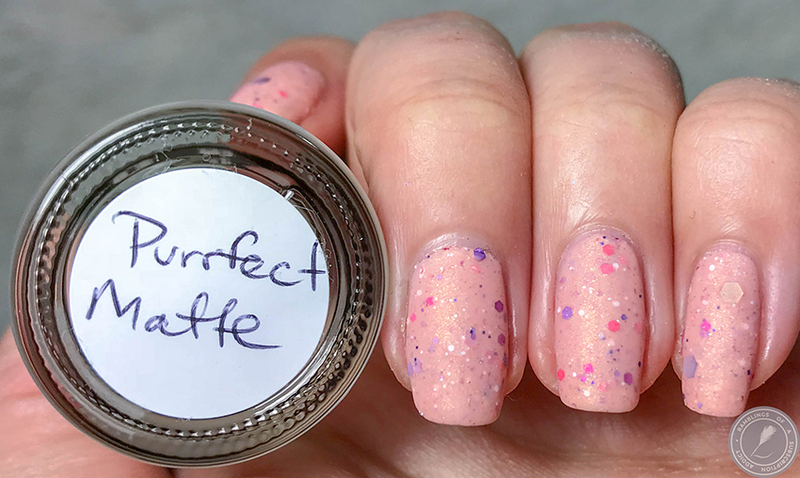 You all know I love doing my matte swatches (I feel like I've been doing them forever now) and so I was all about trying out their matte top coat! 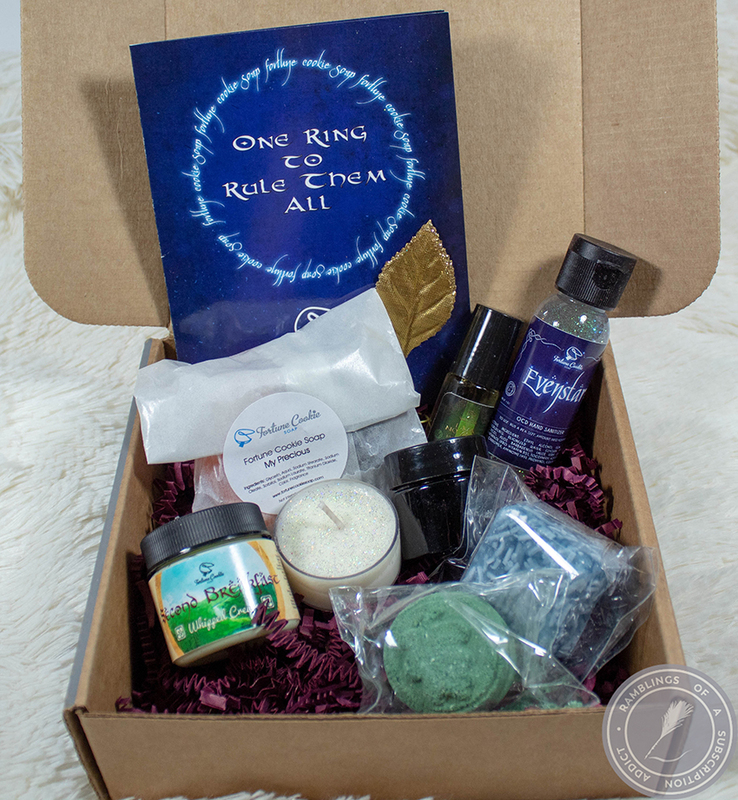 Look at the mini bottles! They're adorable. This is my bare nails with just the base coat. I don't show my bare nails very much, partly because they're usually stained and partly because they have a lot of ridges. 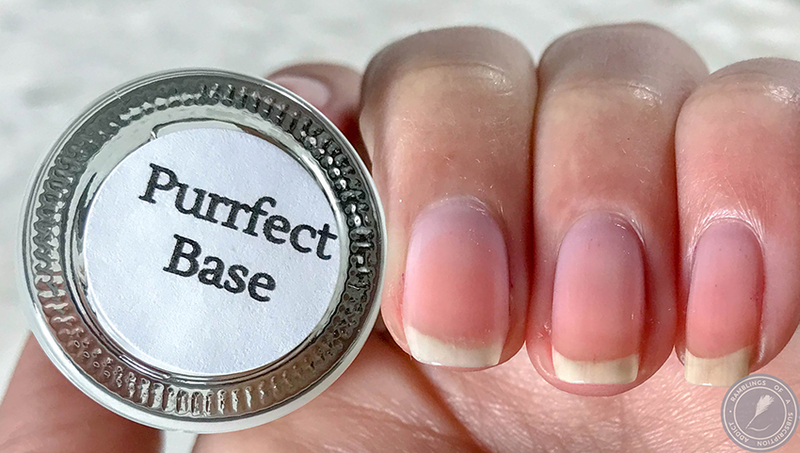 This base coat almost 100% filled my ridges, and it's not even necessarily a meant for that! 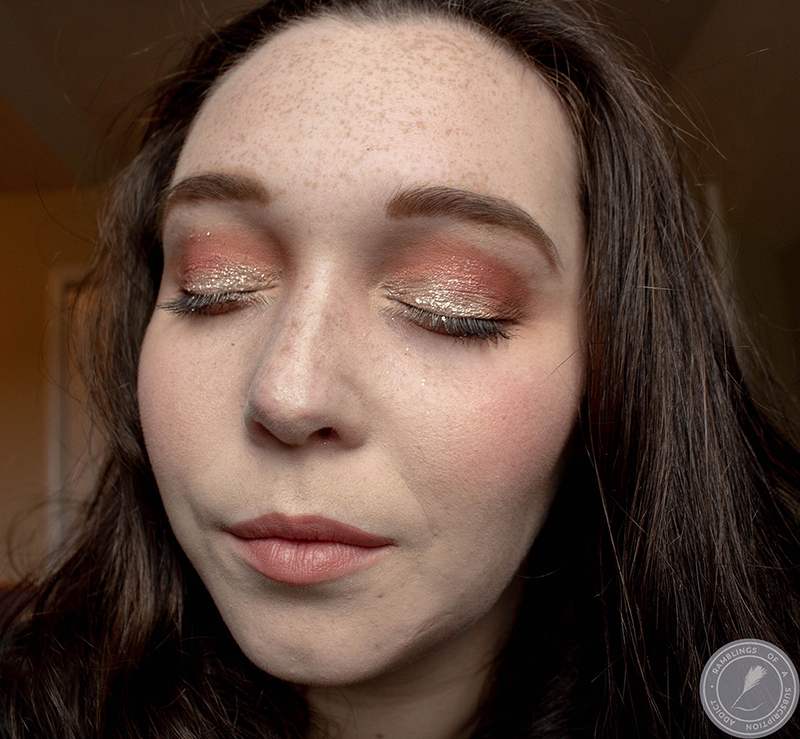 Side note, do you prefer this swatch style over my other one (seen below)? Does this look better, worse, or am I just being nitpicky? It also seems to just make my nails look nicer. The base coat also made the below polish apply even smoother and easier! 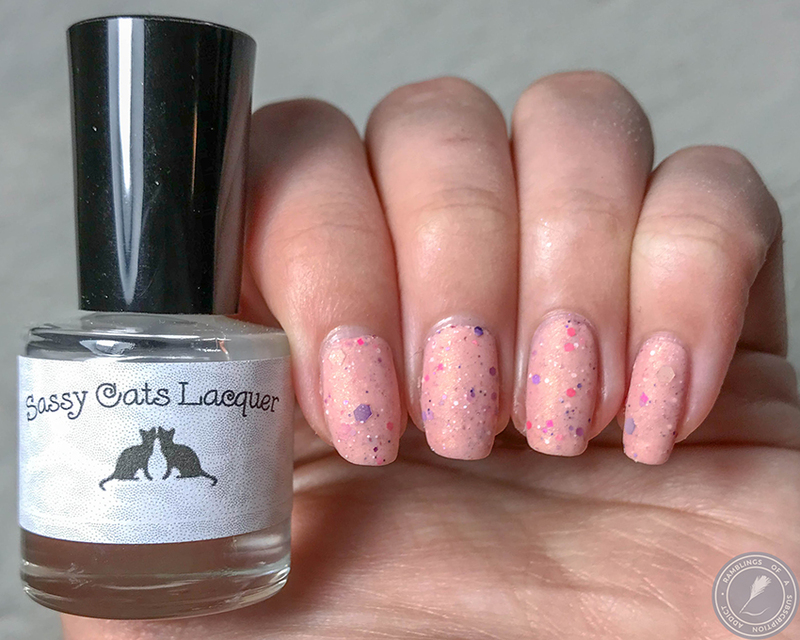 The matte top coat! This is possibly the most matte top coat I've tried, it's amazing! Instead of getting a velvety matte or a satin matte, this is just 100% matte/no shine. Look at how matte this is! Even where the light hits, it's not reflecting one bit. It also smoothed out the majority of the glitters/flakes but it's not meant to be a top coat to smooth out texture. 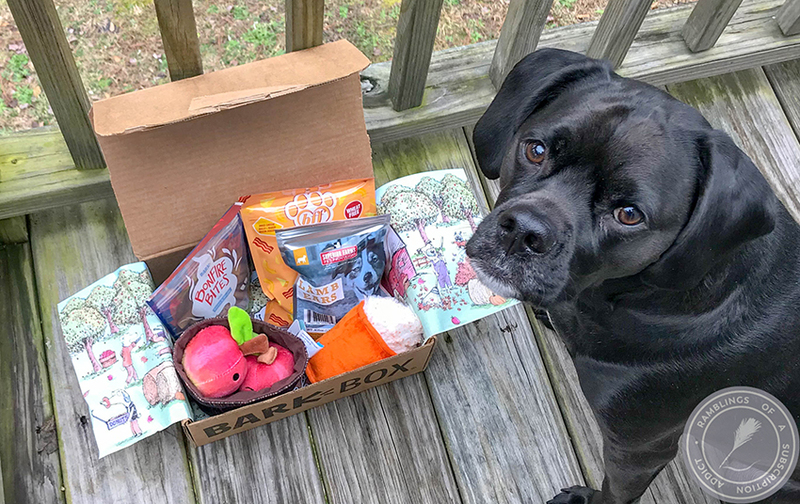 Overall, I really like both of these products. I'm horrible about not using a base coat (hence the constant staining) but I know I should use one. The matte top coat was amazing, literally blowing my mind.